The Cumbria Way is an exhilarating journey through some of the most beautiful and contrasting landscapes of the county of Cumbria. 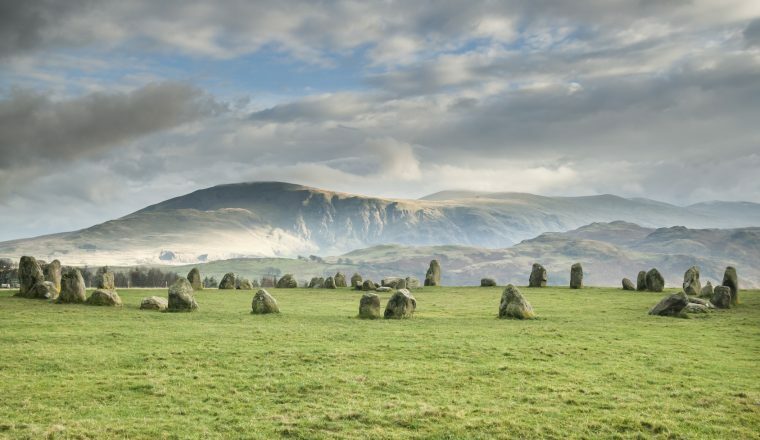 Stretching from Ulverston to Carlisle the route offers 70 miles of walking through some of the most scenic and inspiring landscapes in Britain, including the enchanting Lake District. £525 per person, based upon two people sharing. Anything else not mentioned as included. Any day April – October (depending on accommodation availability). 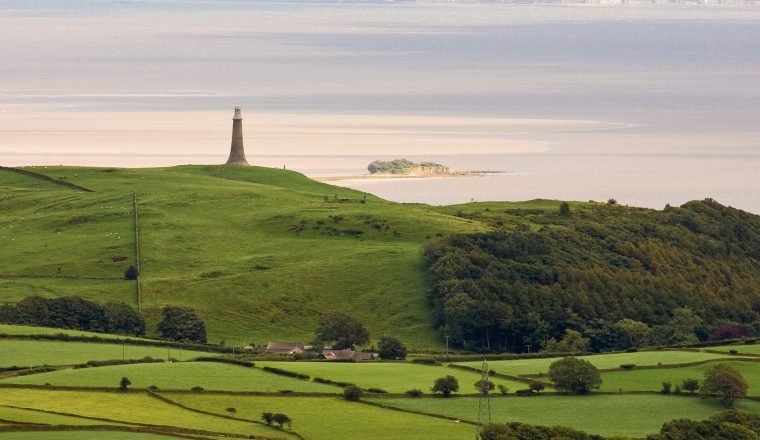 Arrive at Ulverston, a pretty town located between the shores of Morecambe Bay and the Lake District National Park, surrounded by rolling countryside. (Incidentally, Ulverston is the birthplace of Stan Laurel, of Laurel and Hardy fame – the Laurel & Hardy museum is on Upper Brook St.). Overnight Ulverston. Walk to Coniston 14 miles/22.4 kms. Walk the banks of Ulverston Canal, the deepest and widest in England, built in 1796 to bring goods from from Morecambe Bay to the town centre. 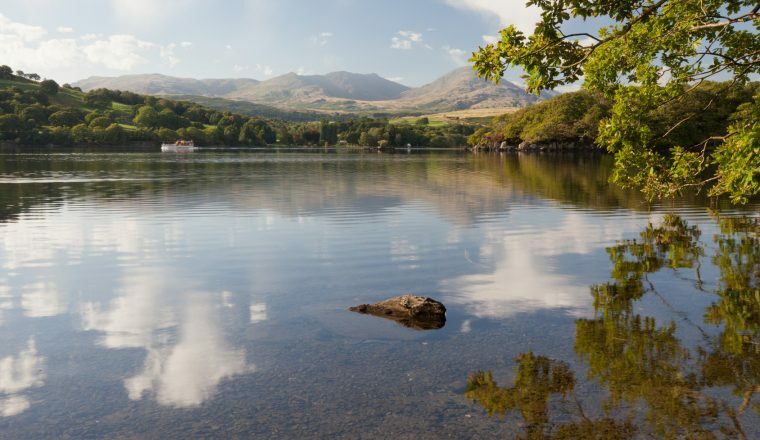 Continue around Beacon Tarn (and perhaps visit Beacon Fell for its glorious views of the Coniston Fells) and on the shore of Coniston Water, with glorious views. Overnight Coniston. Walk to Great Langdale (Dungeon Ghyll) 12 miles/19.2 kms. Tarn Howes, surrounded on three sides by thick woodland, offers glorious views of the Langdale Pike. A short diversion to Colwith Falls is recommended before crossing the River Brathay, passing close to Skelwith Force waterfall and onto Elterwater, probably the least visited lake and one of the prettiest villages in the lakes. Finish with stunning views of the Langdale Pikes in front of you. Overnight Gt. Langdale. Walk to Keswick 15.6 miles/25 kms. The Cumbria Way leaves Dungeon Ghyll by traversing the lower slopes of the Langdale Pikes. The top of the pass is marked by a cairn after walking the moraines of Mart Crag Moor. Perhaps a short detour to Black Moss Pot, much loved by hardy mountain swimmers. The route heads towards Greenup Gill where after crossing a footbridge over a delightful watersmeet, overlooked by formidable looking Eagle Crag), follow a stony track into Rosthwaite. Follow the River Derwent downstream (choice of stepping stones or a bridge). The route now leads through the steep, wooded Jaws of Borrowdale passing Gowder Dub (good place for cooling hot feet) to Gowder Dub. Short diversion worthwhile to Grange for refreshments, before continuing through Manesty Wood to the shore of Derwentwater. Delightful walking alongside the lake (though a ferry is available) to Keswick for overnight. Walk to Caldbeck 14/16 miles/22.4/25.6 miles. Choice of high level route or low level route today. Experienced walkers may like to take the high route over High Pike (the highest point on the Cumbria Way at 2157ft/658m, with great views as far as the Scottish hills), whilst others may prefer the slightly longer low-level route that skirts the fells. The low-level route is easier and safer if the weather is bad. The 12th century St Kentigern’s Church at Caldbeck is the resting place of the renowned local huntsman, John Peel. Overnight Caldbeck. Walk to Carlisle 14 miles/22.4 kms. Cross the river near the church and continue into Sebergham. Head downstream along a riverside path by the delightful River Caldew to Rose Castle, the official residence of the Bishop of Carlisle. Later rejoin the River Caldew and a stretch of the Hadrian Wall path to Cummersdale and finally to journey’s end at the Market Cross in Carlisle. TRAIN – The Furness line, north from Lancashire or south from Carlisle is a scenic coastal journey which calls at Ulverston. Direct services from Manchester Airport to Barrow in Furness also call at Ulverston. For details telephone 08457 484 950. Accommodation in Bed and Breakfasts and country inns or small hotels, all rooms with private bathrooms.